Pebble’s new Steel smartwatch is beginning to ship as of today, according to their site. Announced during CES as the follow-up to their immensely popular original Pebble – a darling of Kickstarter – the Steel is the classier, more stylish version that includes a metal band, Gorilla Glass, and a price tag of $249. With Steel, you are looking at two color options: Black Matte or Brushed Stainless. Each unit comes with both a metal and leather strap, so you can class it up depending on your taste. Other than the look, though, the Steel runs exactly like the original Pebble in terms of software and functionality. It’s still an extension of your smartphone, in that it can handle notifications and simple functionality through its e-paper display. We will soon see new apps from Foursquare and ESPN to help bring even greater features to the smartwatch, thanks to partnerships that Pebble has made and a new official appstore. 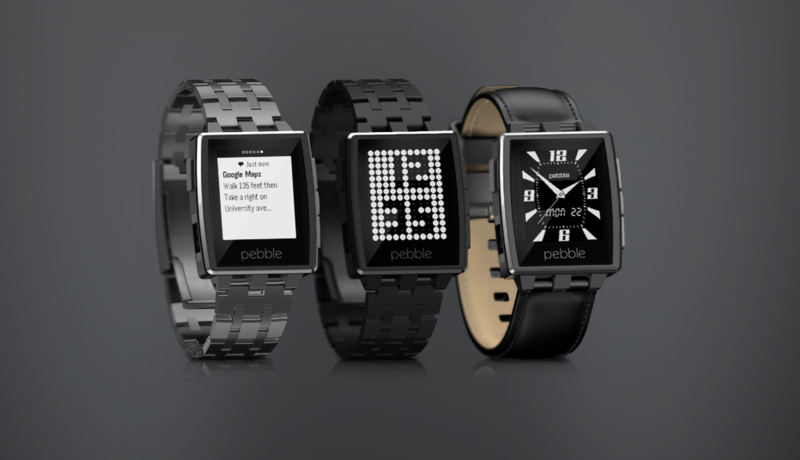 The Pebble is still the best smartwatch available in our minds. We reviewed it last February during its early days. After having watched it mature over the last year, I think it’s safe to say that Pebble gets it, unlike Samsung or any of the other three dozen Kickstarter campaigns that have launched since seeing Pebble’s success. Did anyone order a Steel?